Lagos State Governor, Mr Akinwunmi Ambode has signed the 2018 Appropriation Bill of the State into law with a total budget size of N1,046,121,181,680.00, reports ITRealms. Performing the signing on Monday, Ambode said the total budget size comprises of N347, 038, 938, 872.00 to be funded from the Consolidated Revenue Fund, and N699, 082, 242,808.00 from the Development Fund for both capital and recurrent expenditure for the year ending 31st December, 2018. According to the Chief Press Secretary to the governor, Habib Aruna, in a press statement made available to ITRealms, disclosed that Gov. Ambode signed two critical bills into law, namely the Consolidated Transport Sector Bill and the Lagos State Teaching Service Commission Bill. 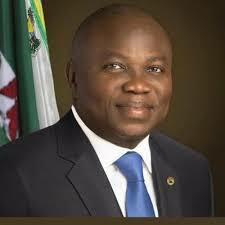 Governor Ambode, while presenting the 2018Appropriation Bill to the State House of Assembly, had pledged that his administration would make every effort to complete all ongoing projects as well as initiate new ones to consolidate on the development recorded in the last two and half years. Also speaking, Commissioner for Finance, Mr. Akinyemi Ashade put the projection for revenue (IGR) at N897billion, while the remaining part of the budget would be funded by deficit financing. ”Today is a good day in our State, the Governor just signed the 2018 Appropriation Law. For the first time the Law has about N1.046trillion as total amount that we would spend in 2018. “In terms of revenue, we are expecting a total of N897billion both from the State and Federal receipts, so the rest would be funded through budget deficit financing. We are focusing this year on completing all projects that we have started knowing fully well that people would say that this is an election year, but the Governor is focused on delivering the dividends of democracy; we are not slowing down, we want to really ensure that we touch every aspect of Lagos that needs to be touched in terms of infrastructural renewal, welfare and other things that the Governor promised,” Ashade said.